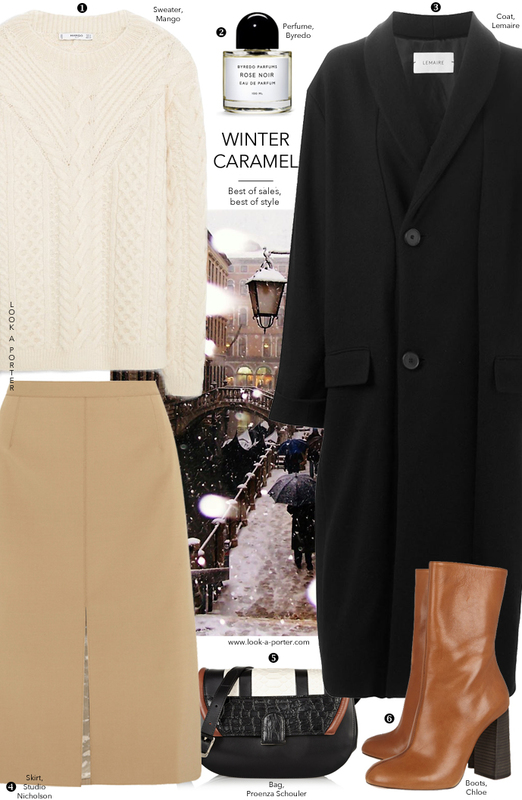 Frozen Sunday calls for cosy layers of a chunky knit and a beautiful camel skirt, finished with a luxurious cashmere. This look began with a bag - it reminded me of the jacket used for my previous outfit idea. And the rest just happened. Gorgeous outfit! That camel skirt and those boots are fab.